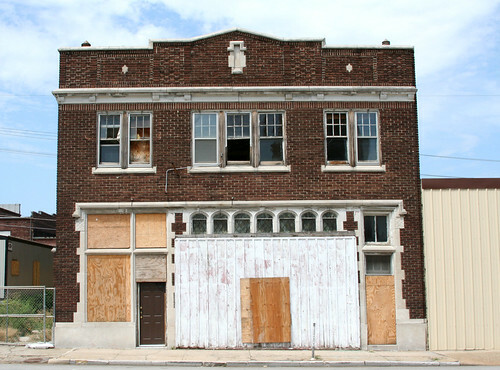 For those who might have missed it, the Joplin Globe ran an article yesterday, September 28, 2011, on the discovery of four letters during the renovation of one of the historic buildings located at 18th and Main Street. The former home of the long remembered 18th Street Bar was damaged by the May 22nd Tornado. The owner of the building, Randy Stanley, opted to renovate the building, rather than tear it down. In the process, four letters addressed to Ray Lavett “Herbie” Gano from individuals that ranged from loved interests to jailed friends from 1927. For more details, check out the article! In today’s issue of the Joplin Globe,a guest column was penned by City Manager Mark Rohr. Rohr, who has been responsible for much of the downtown revitalization, discussed the city’s SPARK plan. SPARK, as Mr. Rohr explained, stands for Stimulating Progress through Arts, Recreation, and Knowledge of the past. 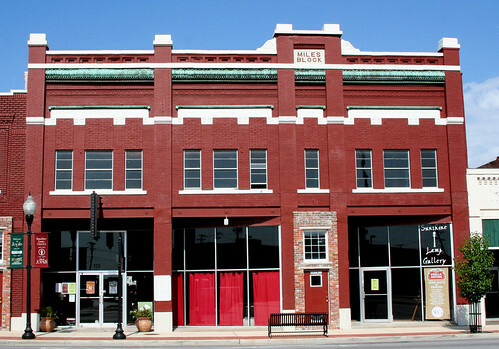 SPARK is composed of three major points, the construction of a large gathering place known as the Town Green, construction of a Joplin Regional Arts and Performance Center, and lastly, the restoration of the Union Depot as a new home to the Joplin Museum Complex. Mr. Rohr argues in the column that by pushing forward on SPARK, it will result in more jobs and make Joplin home to more interesting pastimes and activities. Part of this plan, hinges in theory, if not necessarily in fact, on the Joplin Museum Complex boards which will be meeting on Tuesday to discuss Mr. Rohr’s proposal to move the JMC to a renovated and restored Union Depot. While theoretically the City Council holds the purse strings of the JMC, it has so far been reluctant to support Mr. Rohr’s plans for Joplin’s future by reminding the JMC boards where the majority of the museum’s funds originate from. If you know someone on one of the two boards which oversee the museum, urge them to support the plan. It’s not just a plan to bring jobs to Joplin or money and entertainment to the city, but also a chance to help preserve one of the most important structures left in a city that has unfortunately watched too much of its history demolished and paved over. On Sunday, the Joplin Globe reported on the 90th anniversary of the Joplin Church of God. Established in 1921, the church initially located from one spot to another before finding its permanent residence at 1402 S. Michigan Ave. The article notes the pastors who played prominent roles in the church’s history, as well a seminal moment when in the thick of the Second World War, the church became the spiritual home to a number of soldiers from nearby Camp Crowder. 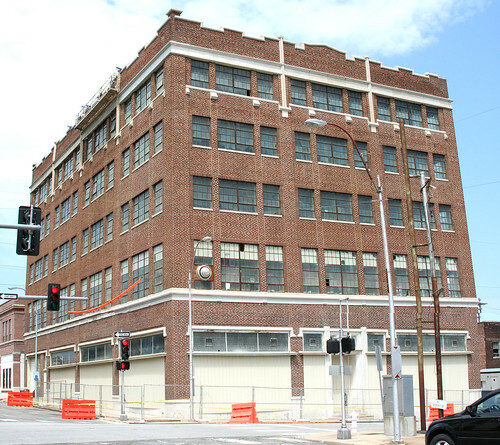 In case you missed it, last Saturday the Joplin Globe ran an article on the 100th birthday of one of downtown’s most illustrious surviving buildings, the Newman Building. 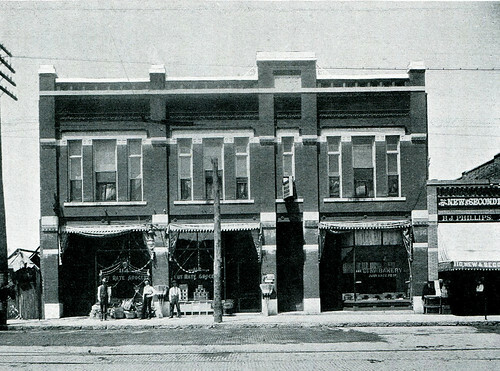 The article, by Debby Woodin, offers both a brief history of the Newman retail business and the building. Additionally with the article are some nice era photographs of the interior of the building when it was at its height. Now the home of city hall, the building is one of the shining examples of why it’s so important to preserve Joplin’s past. 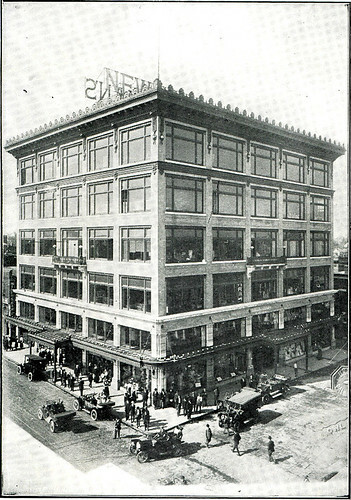 The Newman Building circa 1913. This last weekend, the Joplin Globe offered up a summary of the present situation with the Union Depot. In addition, the Globe put together a short timeline of events for the Depot from its opening over 99 years ago. The summary covers in brief the past attempts at restoring the Union Depot, including an offer in 1973 by the Kansas City Southern to deed the Depot to the city. That proposal was nixed by the then head of the Joplin Museum Complex, Everett Richie. The excuse given then was the danger that the active train tracks posed to the museum and its collection should it be moved to the location. The Globe managed to speak briefly with Nancy Allman, who was the lead in the effort to restore the Union Depot in the 1980’s. Allman did confirm that she still had in her possession some items from the Union Depot. This is good news for the restoration of the Union Depot. Even if Ms. Allman may not want to donate or sell the items, perhaps she would at least allow the restorers to photograph and measure the items for reproduction purposes. 1) The Union Depot’s structural integrity. Reports indicate that the work done in the prior restoration attempt went along way toward reinforcing and repairing structural integrity issues. In the walk through by the Joplin Globe with David Glenn, who was part of the restoration team from the 1980’s, Glenn comments on the strength of the building. 2) There’s less than 400 sq foot than the current museum. As we’ve pointed out in previous coverage of the Union Depot question, there are two measurements being offered of the Union Depot’s space; one from the JMC and company, and one from Mark Rohr. It really boils down to the basement. One side counts it and the other side doesn’t. The basement also brings about another issue, as we’ll address below. There’s no reason more space cannot be constructed to supplement the Union Depot and done so in a simple, elegant and complimentary manner to the Union Depot. Here’s an off the cuff idea: enclose the concourse extending from the depot with glass, creating a beautiful glass hallway, and have the end of the concourse connect to a secondary building. There’s plenty of space available for such an addition. None the less, an addition may not even be necessary. Appropriately, the JMC Board is concerned about the presence of environmental control in the Union Depot. 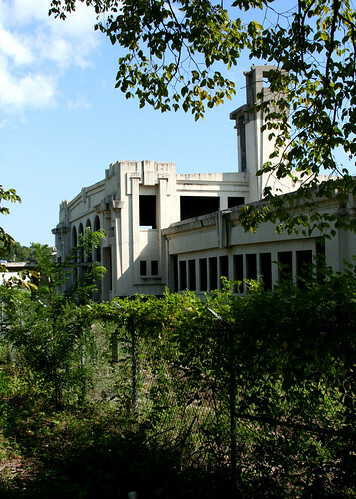 It seems that it would be a matter a fact element of any renovation of the Depot, particularly a restoration performed with a archival purpose in mind. In many ways, as photographs will often attest, the Depot is a blank canvas and now is the time where such improvements can be made and without the cost of tearing out existing material to replace it. (That former material has already been torn out!) Again the basement and the standing water. Here’s a simple answer: pump any water out, replace any water damage and effectively seal the basement walls. We’re not contractors here at Historic Joplin, but this solution does not seem to be one of great complication. Mr. Shirley claims that the JMC board has not taken a position about the proposed move. We would disagree. No member of the board, or JMC Director Brad Belk, have not once said anything positive about the idea. In the summary, Mr. Shirley does note they support the preservation of the Depot, as we would hope of those who are charged with protecting the city’s history. However, supporting the saving of the Depot does by no means equate to supporting the idea of moving the museum. Fearfully, three members of the City Council appear ready to allow the Board to do as it wishes, which means doing absolutely nothing. The Board wanted Memorial Hall for a new home, turned down the offer by the Gryphon Building, and will have to be dragged into the Union Depot. This is not the time for inaction. Joplin has embarked on a push of re-establishing itself as a city of beautiful buildings and one engaged not only with its past, but with an active present focused on its increasingly vibrant downtown. The relocation of the museum to the Union Depot would not only give more people a reason to visit downtown, but its better accessibility than the remote location by Schifferdecker Park would mean more would take the time to learn about the city’s glorious past. The leadership of the city has proven itself innovative and bold by the successful and ongoing restoration downtown, we hope that the leadership does not back down at this important juncture. The City holds the purse strings of the JMC and if the Board of the JMC is not willing to play a part in the revitalization and the new beginning of Joplin in the 21st century, the City should tighten those strings. The Board of the JMC needs to accept that they will not always get what they want and assume a much more forward thinking position, lest they end up as dust covered exhibits they profess to preserve. This page took 0.941 seconds of computer labor to produce.